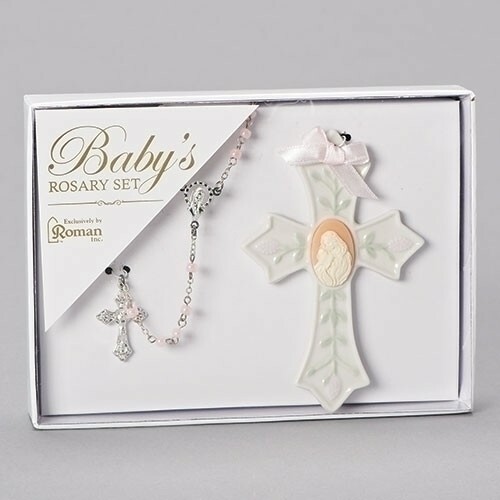 Full Description 2piece st baby girl rosary/cross . 2 piece set. 4"H Porcelain/metal. Gift Box. Roman Exclusive.